Music picks you up from where people leave you.. Hearing is more Powerful than sight. If music is the food of Love, play on! This is the power of hearing and it's effect upon the heart. She fills me up. She gives me love, more love than I've ever seen. She's all I've got, she's all I've got in this world, but she's all the woman that I need. Music has the power to express your emotions when words are not enough. If you can't say it word for word, music is the alternative rescue. There will always be that one song that reminds you of the memories you used to have with someone. It's been a long day without my friend and I'll tell you all about it when I see you again. We've come a long way from where we begain and I'll tell you all about it when I see you again! 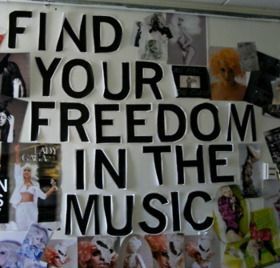 Music is a gateway to the mind, listen up and see what you find. Music has no language. Music is for everyone. Music has no comparison. Music has the capability to wash away all the sorrow, fear, and depression. “Without music, life would be a mistake’ said Nietzsche. There is no need to know the language or the basic notes to enjoy good music. There are many varieties in music ranging from the basic folk to jazz and western where each one suits one kind of people. But the underlying note that touches the heart is the same in all types and this is the universal language. “Music is enough for a lifetime but a lifetime is not enough for music “says Sergei Rachmaninov. Music is an ocean and no one has conquered this ocean but has only gone deep into it to take pearls. Read these quotes on music, they are music to your ears.